Welcome to Avon Social Club in Bournemouth – home of Charfest! 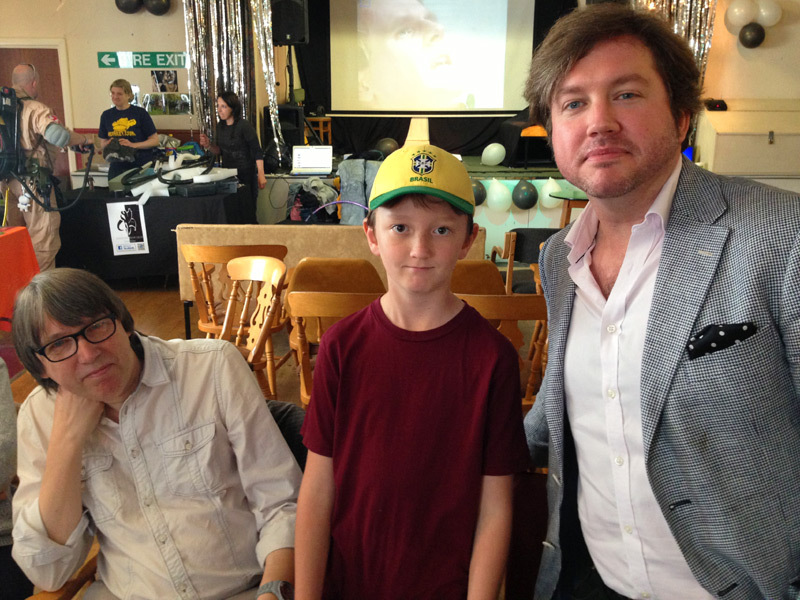 Charfest is a festival of many things and is to raise money for the charity Victim No More – and I went along to Charfest 2014 to meet the special guests. Avon Social Club is a private members club and is where the comedian Tony Hancock made his first professional appearance. I was very happy when I arrived as I was keen to meet some stars of Doctor Who and of other shows and films such as Red Dwarf and Star Wars. 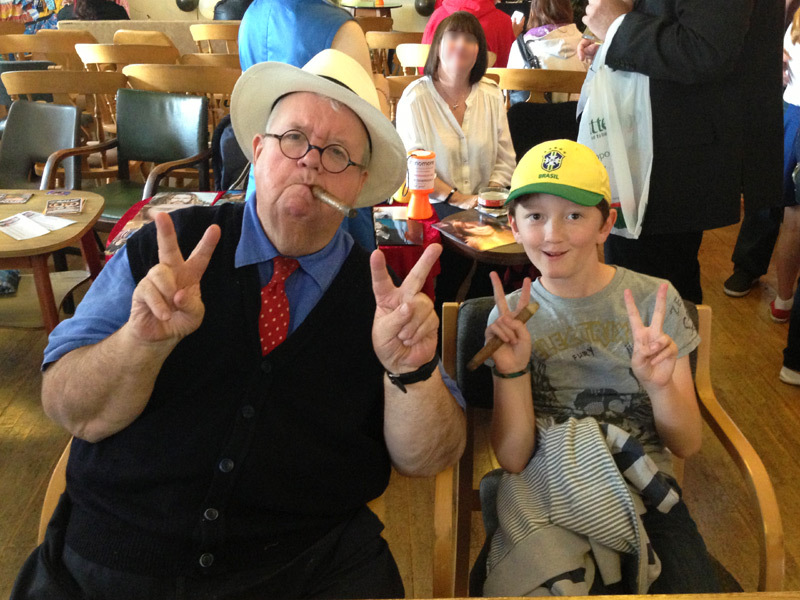 The first actor I met was Ian McNeice who is a famous actor who appears in the episode Victory of the Daleks (2010) and also The Beast Below (2010), The Pandorica Opens (2010) and The Wedding of River Song (2011). He plays the Doctor’s old friend Winston Churchill who wants to use ‘Ironsides’ aka Daleks to win the Second World War! Did you know Ian has also appeared in some Big Finish audio stories about the Doctor? Ian is a great man and very kind. I told him all about my day in London the day before (when I met the Doctor and Clara) and he wanted to see the photos. He was also really interested in some images I took of the poppies at the Tower of London because they were very special. We posed for a photo together with cigars and then he signed a picture for me and reminded me to ‘K.B.O’! Can you remember what that means???? After I had checked out the music and stalls I went to meet Derek Martin, best known for Eastenders but he also appeared as David Mitchell in Image of the Fendahl (1977) and had small parts in loads and loads of other Doctor Who episodes. Derek and I had a good chat about football as we are both Chelsea fans and I predicted the correct score of the Chelsea v Leicester match that day! I chose a picture of Derek and the Third Doctor for him to sign and we posed for a photo. 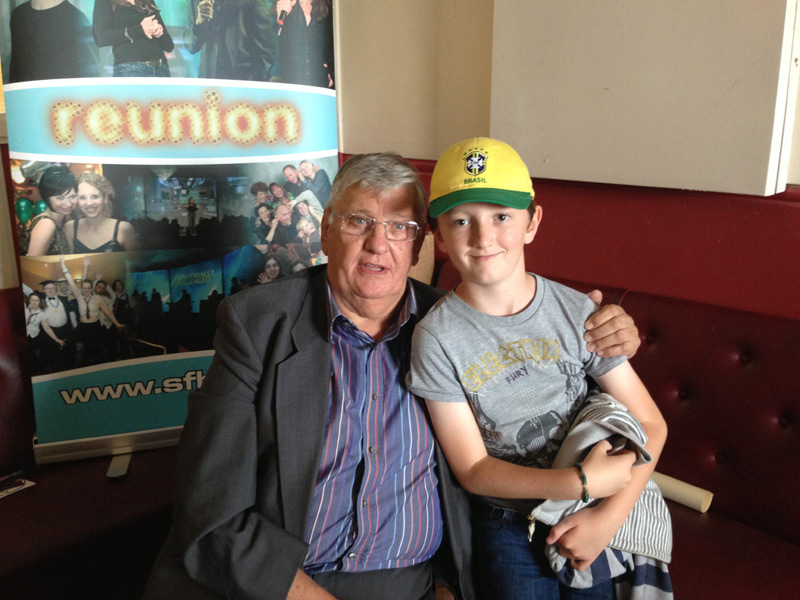 Derek was super to meet and I really enjoyed it. Afterwards I went downstairs to have a go on the bouncy castle, then I had a drink and enjoyed looking at the Cosplayers all around. 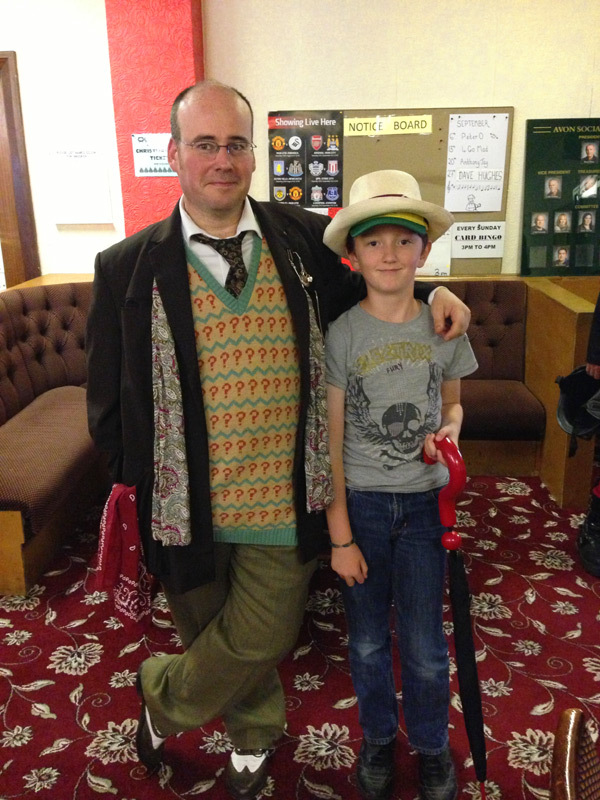 I met someone dressed as the Seventh Doctor which was cool because the Seventh Doctor is my favourite – along with Peter Capaldi! ( That’s the first time I’ve added that bit!). He was sad because he had snapped his special umbrella. There were also people dressed as the Tenth Doctor, Jo Grant, Captain Jack and other Sci Fi characters. I left after that but came back the next day especially to see Blogtor Who, Cameron K McEwan who was there to show his movie! I told him all about accidentally bumping into Peter Capaldi and he told me that he and a friend met him by accident once as well. I bought his book The Who’s Who of Doctor Who (2014) and also a DVD of his film Who’s Changing (2014). Blogtor Who signed my book and so did Andrew Skilleter who illustrated the book with really cool pictures. Andrew has also illustrated many things for Doctor Who including the ‘The Five Doctors’ Radio Times cover,books, video covers and calendars. I got a front row seat and watched the film on a couch in luxury. ‘Who’s Changing – an Adventure in Time with Fans’ is all about how Doctor Who fandom has changed over the years and is full of interviews with stars and fans. People talk about what they like about Doctor Who and why they like it so much. It is a great film and I plead with all Doctor Who fans to watch it because it is so darn good! I left Charfest after the film but it was fantastico and raised nearly £1000 for Victim No More which is awesome! I hope they do another one next year. 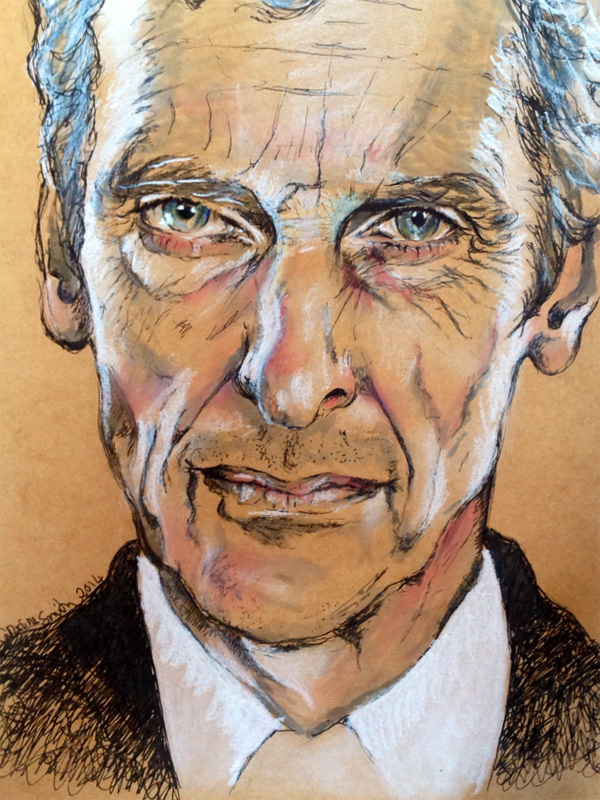 In other news, this week I received this wonderful drawing of the Twelfth Doctor from one of my readers who loves Peter Capaldi and everything Doctor Who. 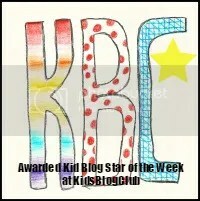 She is an amazing artist and you can check out her work here on her blog. One of her pictures was shown in New York on the Doctor Who World Tour! I love it and will treasure it. Thank you! See you soon for a very special location report (hint – it is in a new episode) and remember – K.B.O!!!!!! !